Pep Guardiola has his eye on "three of four" possible defensive midfield targets for Manchester City. A move to bring in quality cover appears unlikely during the current transfer window, while City have been linked to big money moves for Ajax protege Frenkie De Jong and Lyon duo Tanguy Ndombele and Houssem Aouar – both of whom impressed against Guardiola's men in the Champions League this season. 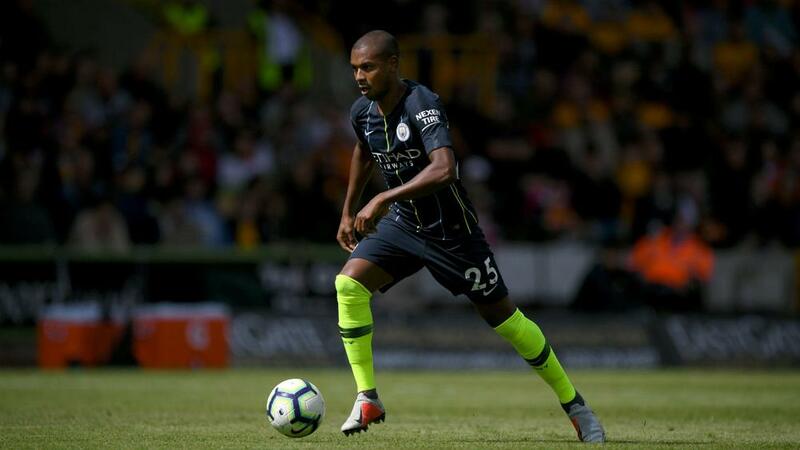 Although he declined to name names, the City boss told a news conference a small handful of targets are in his sights – even if the prospect of replacing Fernandinho's all-round capabilities will be no easy task. "I think the way we play we need a guy with physicality, quick in the head and in reading our spaces to attack," he told a media conference. "We will see. We have seen many. There are three or four we are searching for in that position." The only other significant shortfall in Guardiola's first-team group can be found at left-back, with Fabian Delph, Oleksandr ZInchenko, Aymeric Laporte and Danilo having all operated there out of position this term following Benjamin Mendy's latest knee operation. "We survived quite well last season, this season too. But we are thinking about that, yeah," he said. "I cannot assure you [City will buy a left-back] because I am delighted with the players I have. We are going to put on the table both options. "[Mendy] trains incredibly well. Sometimes it happens. Hopefully it will be the last time."